One of the Big Lies published by the supporters of the Haredi School Board is that teachers in East Ramapo have been getting exorbitant raises and refuse to bargain. Data from NYSED tells a very different story. 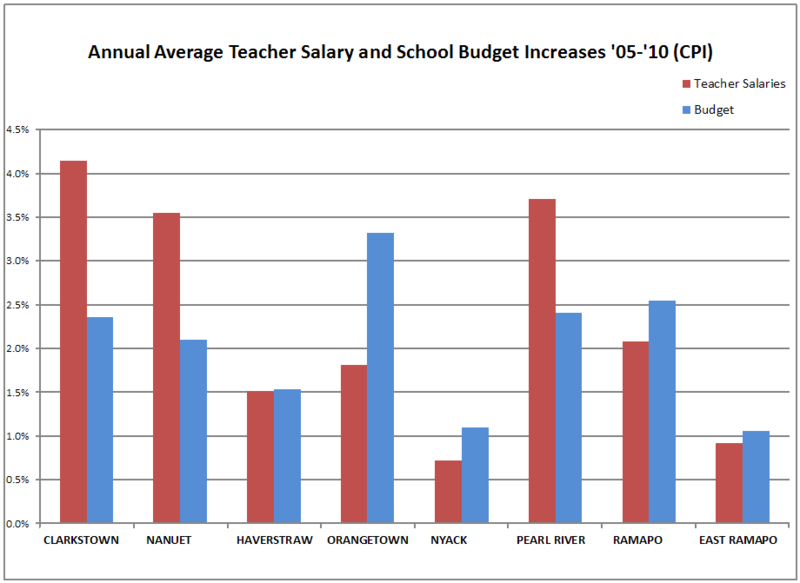 East Ramapo teachers pay increase is among the lowest in the area, and has barely kept up with inflation for the past several years.